Thyme is a well known herb. The essential oil of this herb – thyme oil is used commonly in toothpastes and mouthwashes as it kills germs and protects the teeth from decay and plaque. Thymol is ingredient in the essential oil behind the antiseptic properties of thyme oil. It is also known to kill fungi and is added to antifungal creams and hand sanitizers. Thyme also has other compounds that fight bacteria and are great antioxidants. Thyme oil being a natural antimicrobial makes it a solid weapon against sore throats. The presence of a compound carvocrol is one major reason why it is one of the best essential oil for treating a sore throat. So, the next time you have a sore throat, ensure that you add thyme to your soup or drink a cup of soothing thyme tea. Consuming thyme helps in reducing blood pressure and this is great news for anyone suffering from symptoms of high blood pressure. Try adding thyme to your everyday meals and see the difference. 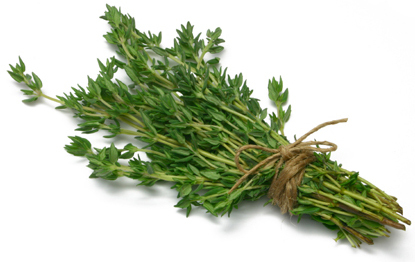 Thyme not just prevents food contamination but also decontaminates food that is previously contaminated. By adding it to your meals, you can actually reduce the chances of food-borne illness. As already mentioned, thyme has carvacrol that is known to have mood boosting ability. Thyme when consumed in low quantities regularly can improve the feelings of well-being. And who does not want to have a good mood always! The herb has shown properties that fight cancer and tumours. This anti-tumour effect is due to carvacrol. Thus, thyme is a cancer fighting food. Thyme treats cough and bronchitis and has been in use for the same for centuries now. It is quite effective in treating bronchitis and this has been confirmed with the help of studies. 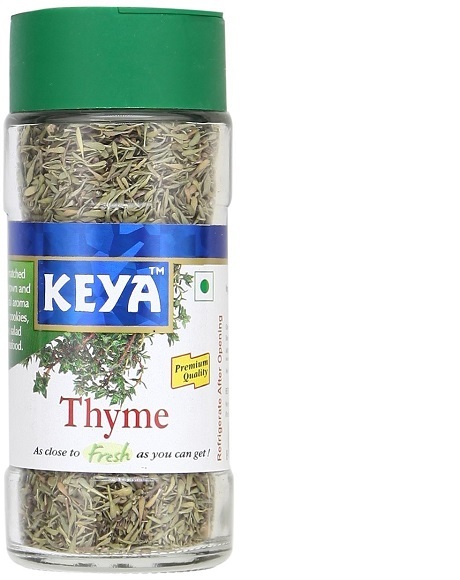 Thyme is a great herb but sadly not a part of Indian cooking. Basically it is a Mediterranean herb that gets used in Continental cooking. Now, we Indians love to experiment with food and that is why thyme is being used to make pastas and as seasoning for pizzas. The difficult part is that thyme is not readily available in our country. You would have to face some difficulty in finding it in the market. I just checked its availability on a famous online shopping site. You can get it from there. If you want fresh thyme, you can grow it in your own kitchen garden. It is a herb that once planted grows all year round. It needs a hot and dry weather. You can sow the seeds of thyme in a small pot if you stay in an apartment. Enjoy the benefits of fresh thyme from your own kitchen garden and add it to exotic dishes that you plan to cook. Hope you liked reading about the Health Benefits Of Thyme! Previous articleAre Silicones Safer Than Plastics? Next articleHow To Take Care Of Oral Health? 8 Obesity Factors Out Of Your Control!